I have charted this quaint detail from one of my samplers - You could use the motifs as part of a larger project or use it as it is charted. 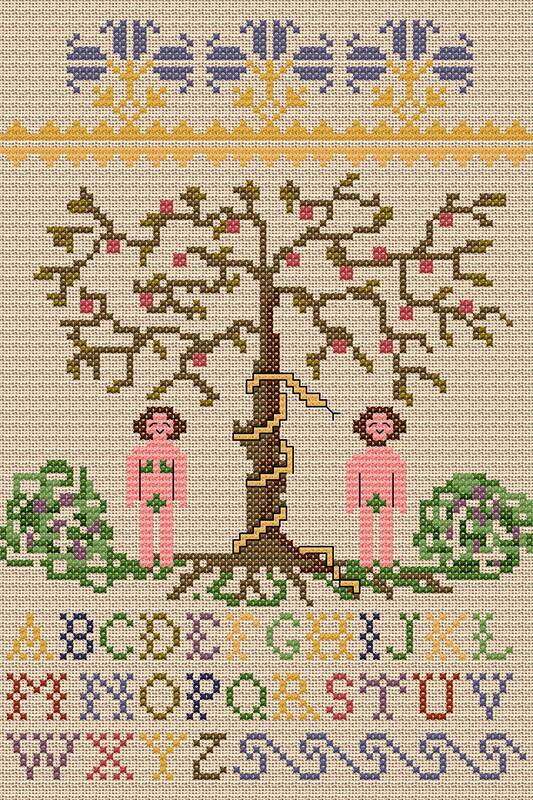 The complete design is worked in cross stitch with no fractional stitches. The minimal backstitch is optional and the design may be stitched on linen or Aida fabric.